The Satkosia was set up as a wildlife sanctuary a tiger reserve. The name Satkosia can be broken up in Sat, meaning seven and kos, meaning 2 miles. This translates into the area of the park that is 14 miles. The sanctuary was later declared a national park, and also includes another wildlife sanctuary, the Baisipalli Sanctuary. The place is naturally beautiful and consists of variety of flora and fauna. You can also opt for boating here. Make sure you wear clothes that cover your hands and legs to protect yourself from mosquito bite. The reserve is open throughout the year. By hired car from Bhubaneshwar. 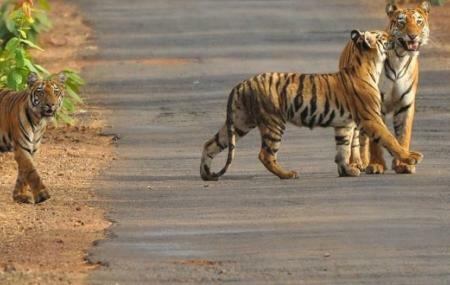 How popular is Satkosia Tiger Reserve? Must visit place for nature lovers. Night stay is amazing, must include in itenary. If you are lucky, you can see crocodile. Boating is risky. Connecting road is fabulous for long drive. Good place for family picnic and its safe. Best time to visit is in winter. Satakosia Garge sanctuary is a beautiful natural place of tikarapada, satkosia, Angul, this location is very beautiful, good environment, silence cool and clam place, jungle, river, birds, animals combination place, a scenario place, boating time feeling so awsm, evening time this place view so awsm, every natural lovers and photography so beautiful place.